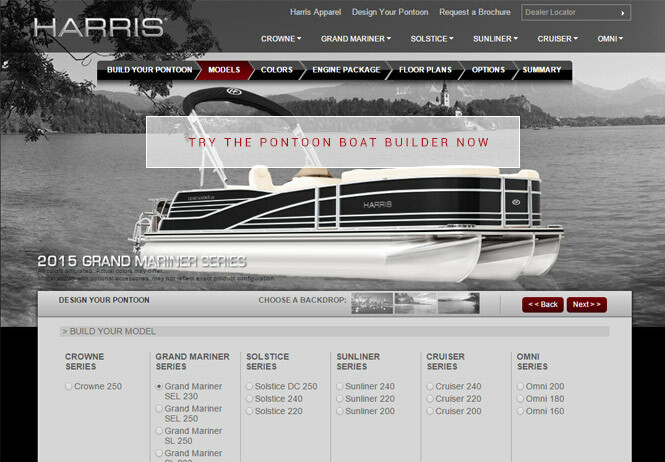 Harris is known for its award-winning luxury pontoons. With the philosophy that your boat is not simply a way to cruise the waters, but an extension of your lifestyle, Harris allows you to showcase your personality through your very own custom built pontoon. Perfect for the days when you don’t want to take your yacht out, the luxury pontoon is the epitome of class and elegance. Fully customizable with exterior and interior colors, a choice amongst 21 different kinds of engines best suited for your recreational activities, and a special floorplan, your personalized pontoon is sure to be unique. To top it off, Harris offers additional features and accessories such as fish detection equipment, a changing room, lighting, an entertainment bar and more. For the tech savvy, a touch screen controlled helm, cruise control and a state-of-the-art sound system are available. If you are looking to cruise the seas in a more intimate setting with a truly one-of-a-kind handcrafted boat, a personalized luxury pontoon could turn out to be your best investment.